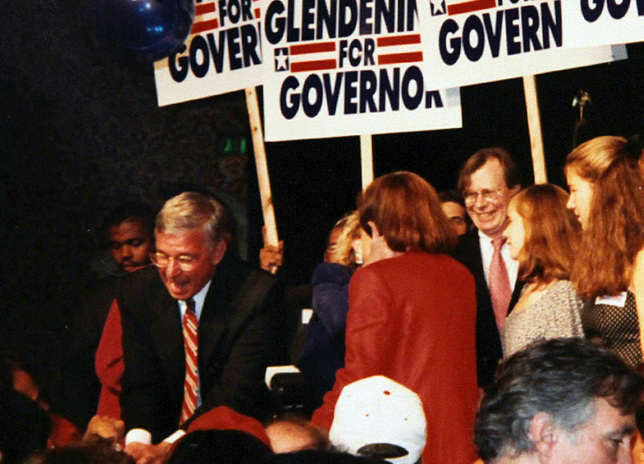 Parris Glendening was student at Florida State University when he decided that he would some day govern that state. "This was the time of segregation and the fraternities were entrenched, so we formed a new political party," he recalled. His upstart party consisted of only six like-minded souls but the opposition perceived the young Glendening as a threat. "So we cut a deal with them, I would be involved in the cabinet and we'd dissolve our party. And what dawned on me then was that you can do anything if you focus and decide what you want to do." And so he began constructing his plan to reach the Governor's office: he'd obtain a doctorate and, as is tradition, remove himself from the Florida system, publish a couple of books, get his tenure and move back to a Florida campus. Once back in Florida, he reasoned, he'd get involved in politics and mount a run for Governor. "This was in 1967 so I was 24. I got hired in New York, went to a job fair, got three offers and I selected Maryland because it was closest to Florida."